Today’s cigar has been sort of a white whale for me and it’s funny because this cigar is pretty widely available. I’m not really sure why but I just wasn’t able to secure one to send north of the border. 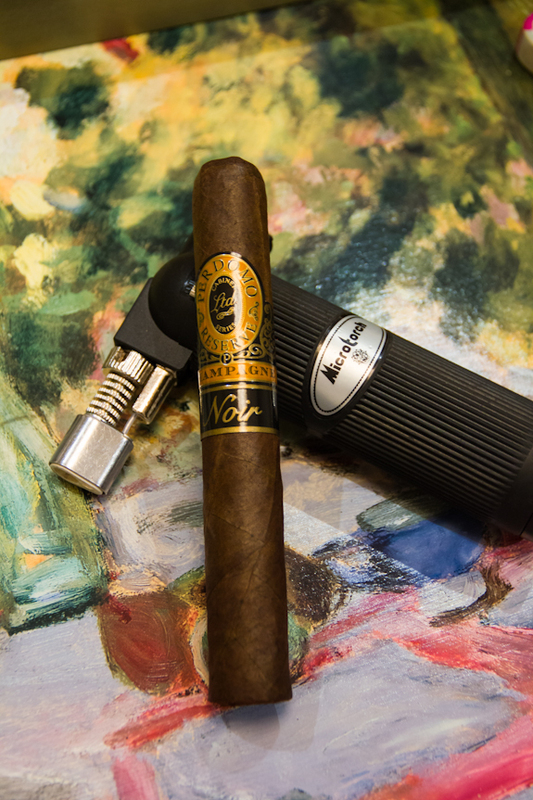 The reason why I was excited to try it was because I really enjoyed the Perdomo 10th Anniversary Champagne cigar lineup, which was a very tasty Connecticut cigar. To a Maduro version of it sounded very appealing to me. 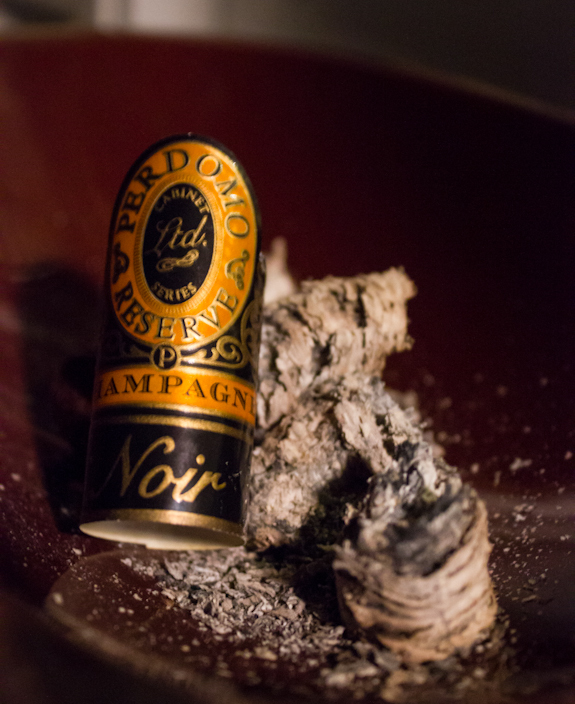 The Perdomo Reserve Champagne Noir comes packed with quality Nicaraguan tobacco and wrapped with a Cuban-seed maduro wrapper that’s been aged for at least 14 months followed by an extra 6 months in bourbon barrels. How could you say no to a combination like that??? 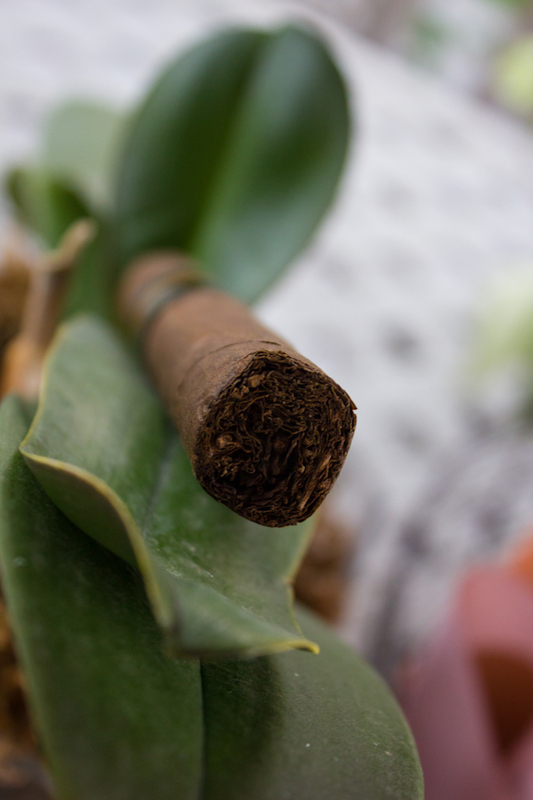 This Nicaraguan puro sounds super appealing on paper and I hope it translates to awesome when I light it up as well. One thing to mention about the blend here is that it contains pretty much the exact same filler and binder as the 10th Anniversary Champagne cigar. The difference is of course the dark maduro wrapper it comes with. So you can see why I was excited to give this blend a try! 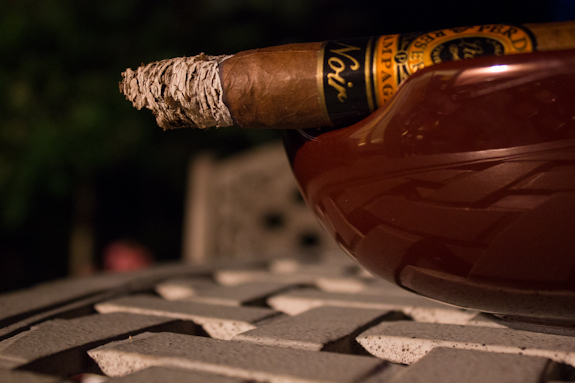 As I’ve mentioned before, Perdomo has a pretty big reputation to maintain with me. I’ve always had good luck with both construction and flavors when it comes to their sticks so I expect all of their sticks to live up to that same expectation. Now to be honest, the 10th Anniversary Maduro line up wasn’t as much of a success for me as the Champagne was so I’m really hoping the Champagne Noir rounds out the Reserve lines up with a solid and tasty maduro! •	As I burn through the halfway mark, I’ve had nothing but razor sharp and slow burning, fantastic quality here! •	Did I mention how slow this is burning? I’m going to easily pass 2 hours here! Well it’s easy to see that this cigar did not disappointment at all. 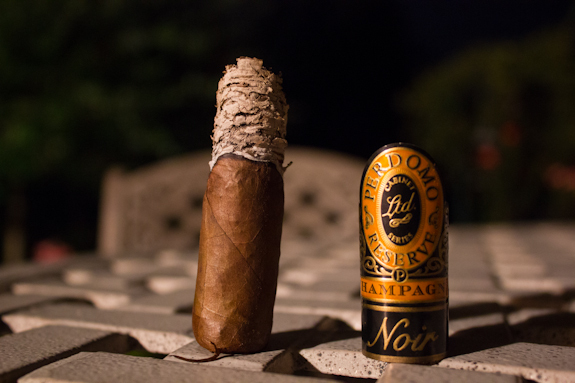 There were some hints of the Connecticut version in here but the maduro wrapper definitely brought a different experience to the Perdomo Reserve Champagne Noir. The roasted espresso and almond flavors really brought it home nicely in the end and the burn and construction was top quality right through to the end. 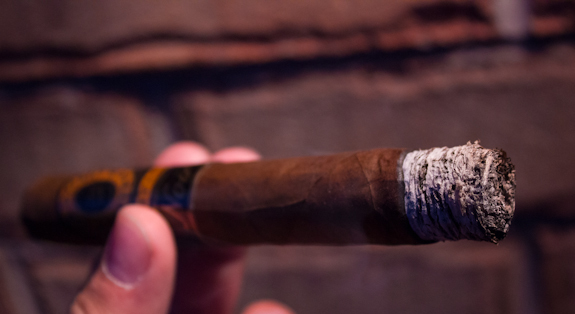 The pace at which this cigar burned was incredibly slow! Definitely got my money’s worth with the slow burn on these. 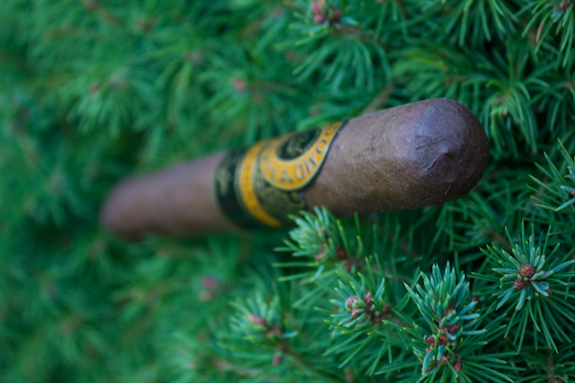 This is another winner in Perdomo’s inventory for me, give them a try and let us know what you think! I had first cracked this bottle the week before the wedding and it was and good, so I had been saving it for a special occasion. So this weekend we ended up buying a house so I thought that’s a damn good reason to finish off the last bit of this Macallan Select Oak. It’s so darn smooth that you definitely don’t need ice cubes to drink this one. A touch of smoke, a touch of peat and lots of caramel and fruity notes. Darn good if you like some good ol fashion Scotch! 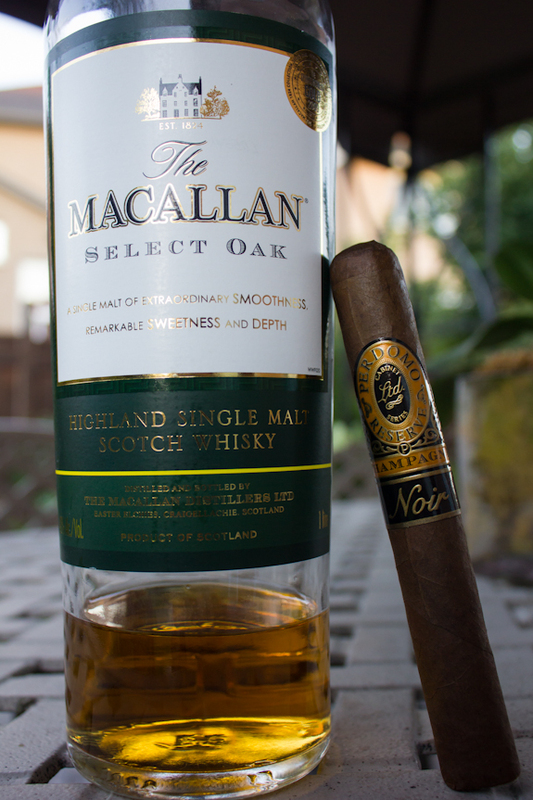 Great pairing for any full bodied cigar and even though the Champagne Noir wasn’t too full bodied, it still complimented the coffee and cedar notes well. A nice stout or strong coffee would have been great here as well. Wow Dan nice pictures buddy always looking good and I love that scotch. 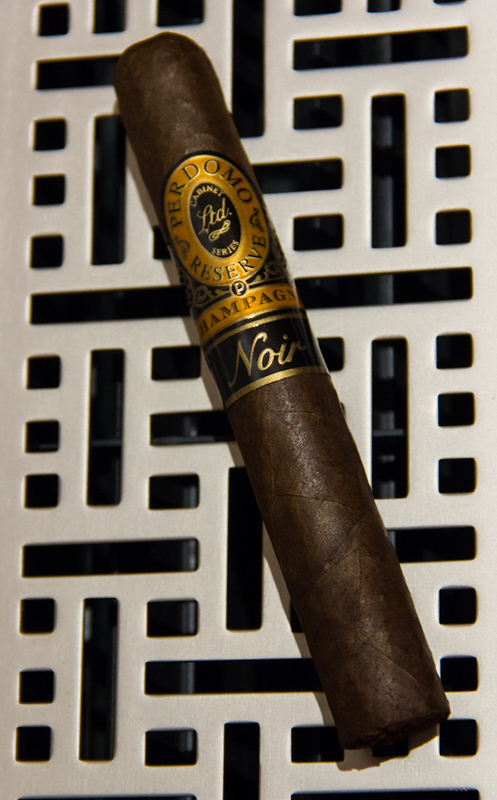 I have a couple of these in my Humi just resting its been close to 8 months since I had my last one while I haven’t found a Perdomo I don’t like I wasn’t a major fan of the Noir… I might have to dust one of these off and give it another shot. Great review. I’m curious what your thoughts were and why you weren’t a big fan? Let me know when you get a chance to re-visit! I do enjoy the 10th Anniversary Maduro, but thought this one brought more to the table. Hey, another good “$ per hour” ratio! Great review. I’ve been enjoying the Perdomo line for years. I agree that the Champagne Noir is a nice kick up from the 10th Anniversary. What attracted me was, like you mentioned, the espresso notes through out. Being that I’m limiting my cigar intake, the slow burn is greatly appreciated. I was pairing it with Wild Turkey Honey, howwever, when my son Andrew recently returned from Scotland with a bottle of scotch I have enjoyed that more. Bowmore which is a single malt like your pairing, suited the mild mediumness ( is there such a word ?) of the Ch. Noir better. It doesn’t compete or overpower it at all, it compliments it nicely. Clean and straight.Thanks for the review, I always look forward to the your reviews. I’m going to seek out the Macallan as well. Thanks for the note Gene, the scotch pairing definitely is a good one and the Select Oak is a great one for the price. Marty just got in the Perdomo Reserve 10th Anniversary Criollo so I had to try it as I had heard some good things about Perdomo. 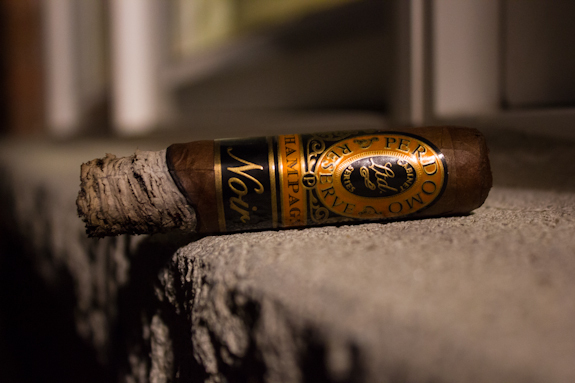 Can’t say I was blown away by the stick…not sure I would grab another at a future visit. The Criollo is ok. It’s the Champagne’s that really shine in the 10th Anniversary line up. I wasn’t a big fan of the maduro either so try the Champagne if you find one. And for the price we pay for them up here it makes it feel even less worthwhile, lol. This is an amazing stick, one of my go to cigars, great price, great flavor, great construction. 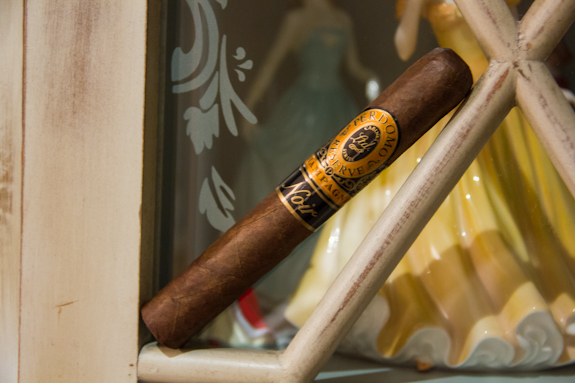 Perdomo is one of the rising stars in the cigar world!